View of Whitsand Bay Hotel and beyond from Crafthole golf course. Limited Edition Giclee print of the original collage, double mounted in a limed ash frame. 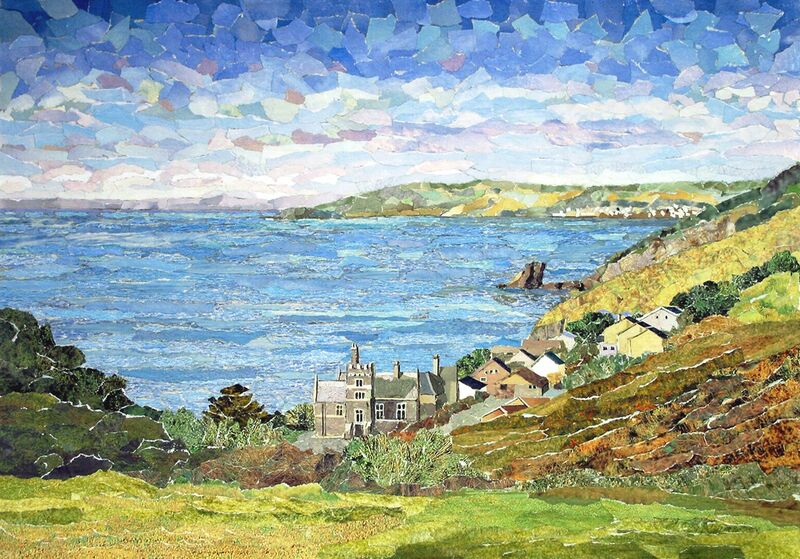 Since taking early retirement from teaching I have worked mainly in torn paper collage. 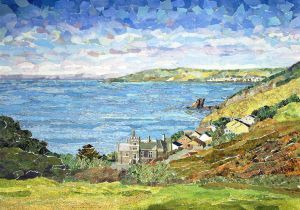 I am inspired by the Cornish landscape and joined "Drawn to the Valley", a local group of artists. We organise Open Studios through which I sell my work.